With the best security systems, homeowners can truly have the level of peace of mind they’re looking for. But there are a few things that even some of the best systems can’t account for — and it’s important to help homeowners figure that out before they buy or rent any kind of system. That way they have the highest chance of protecting themselves and their home from risks, while still understanding the risks that remain. In short, there are always going to be some risks left over, and these are risks that security systems can’t just accommodate, warn for, or help homeowners avoid. One of those risks is a propane leak, as many homeowners mistakenly think that a carbon monoxide detector will find a propane problem. Unfortunately, that’s not the case. 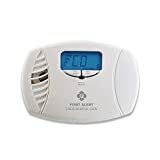 Even if propane is leaking into a home and putting the health or even the life of the homeowner at risk, a carbon monoxide detector can’t be relied upon to give a warning. Carbon monoxide is a colorless and odorless gas. It can come from things like a car running in the garage, or a gasoline-powered generator venting onto a porch or patio near an open door. Gas leaks can also be an issue, and every year people die from this problem. 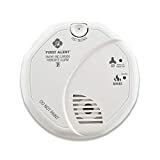 There are carbon monoxide detectors available, including those that are battery powered and those that are hard-wired into a home’s electrical system. Additionally, detectors that are designed to handle both smoke and carbon monoxide are available, as well. But the problem with all of these detectors is that they aren’t designed to alert for propane. People who use propane for their heating or other needs may mistakenly feel that they are protected, when in fact they really are not. A leak in a propane tank won’t be detected, and the homeowners could still be at risk. Understanding what a carbon monoxide detector can and can’t do is a vital part of picking the right security system for any homeowner. With propane, homeowners have a tank near their home that gets filled on a regular basis. They then use the propane in the tank for their heating or cooking needs. Many rural homeowners require propane tanks if their houses aren’t entirely electric, because natural gas lines don’t reach their locations. Carbon monoxide detectors work by noticing the gas that people can’t smell or see. These detectors are very sensitive, especially the Kidde carbon monoxide alarm, but they also have to be placed properly. 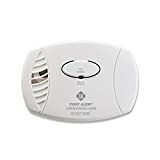 Since they are designed to alert the homeowner before the carbon monoxide reaches deadly levels, they need to be at head level or lower. Putting them near the ceiling like a smoke alarm, for example, won’t do enough to keep a homeowner safe. With the right security company, though, a homeowner can get the proper equipment to protect themselves — and that includes carbon monoxide detectors.